Whatever the reason may be, sometimes you have to perform a factory reset on a device. Whether you are sending it back to the manufacturer or possibly selling to a friend, it is always good to know how to wipe all of your personal data from a device. With folks buying and receiving their Android Wear smartwatches, now is the perfect time for you to learn how to perform this task. Luckily for the beginners among us, Android Wear is a very easy OS to navigate, so learning these tricks is easy as pie. Below, we take you through how to perform a factory reset using just your fingers, and also how to do the same thing using your voice a little bit. After confirming the reset, the device will power off and perform a factory reset. 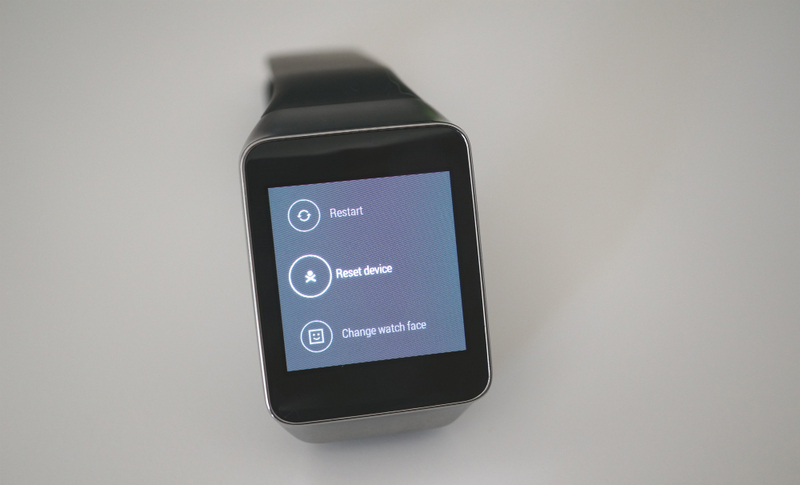 Once booted back up, you will have a clean Android Wear device with no user data attached. From the home screen, tap on the display to begin a Google search. Without saying anything, scroll down on the display. A list of options will appear. If for some odd reason you ever need to perform another factory reset, now you know how to do it like a pro.